The following video was received a few nights ago in the South of Russia. 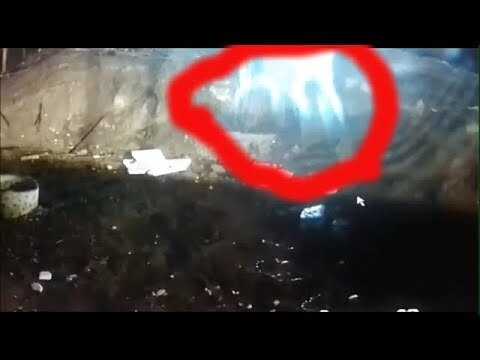 A video camera installed near the abandoned well, captured a strange anomaly that, in the opinion of many Russian Internet users, is certainly a real Ghost. Commentators believe that the lens of the recording device got some intangible supernatural entity from the subtle world, which could be once a living person. A mysterious video showing a round manhole of the night, standing somewhere in nature. In the eye catches a large and shapeless light spot in the upper part of the frame. After looking at it closely, you can see in this iridescent glow dark anthropomorphic silhouette, wavering from side to side, then disappearing without a trace. Nevertheless, the strange glow still remains somewhere at the top, against the slope of a nearby hill. The regulars of the Russian segment of the world wide web, which is alien to materialistic views of the world, suggest that we have before us the spirit of an unknown person, who may have visited this place in life. Skeptics believe, if we are talking about the lighted spider web near the lens. According to the doubters, in the snare of a spider caught an insect that impressionable viewers took for a human form. Filmed sooruzhenie on the monitor. Probably video accelerated. You need to find and study the original video.